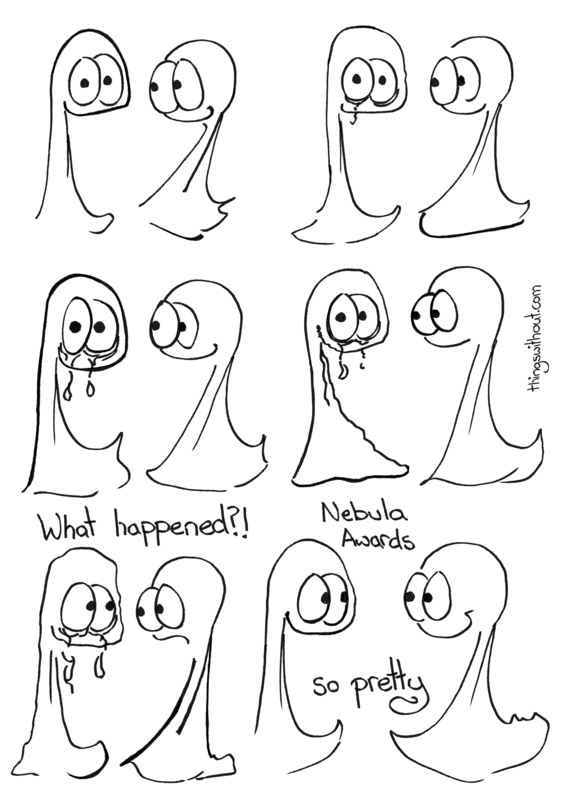 The Nebula Awards were quite emotional and lovely, in keeping with last year’s tremendous conference. Next week I will be at Wiscon! 159: What’s a thing to be?